We are proud of our well designed and orgainised premises. Located at Rhodes in Sydney, New South Wales. Apromo Trading operated from our Artarmon warehouse and office for many years, but we outgrew that space, so after much consideration we chose our new location in Rhodes. Rhodes is almost the geographical centre of Sydney and is well serviced with major roads in all directions. 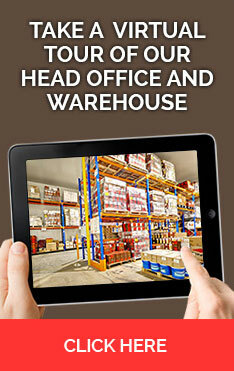 Our new warehouse ensures we have the capacity to easily service and to grow our market. Moving gave us the opportunity to fit out our new premises to optimally suit our business. 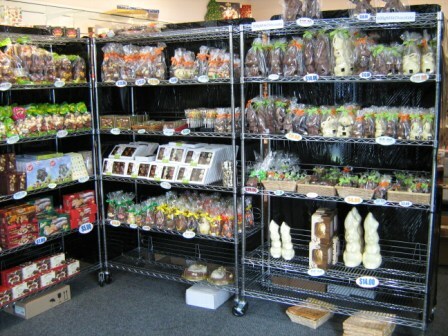 This section of the warehouse is maintained at 15 degrees Celsius, as suits storing chocolate and confectionery. We monitor and log the temperature in line with HACCP requirements. General lighting is provided from motion sensors controlling LED floodlights. Utilising high performance LEDs not only directly reduces electricity consumption, but also reduces heat generation. Our containers are directly unloaded within the Chocolate room once again minimising any temperature shock to our product range. This is where we store products which are not temperature sensitive, such as tinned food, biscuits and sugars. The dry goods store is still insulated and so avoids the temperature extremes of Australian summers. Our new freezer room is maintained at -18 degrees Celsius (which is 0 degrees Fahrenheit). The floor is insulated, but still structural concrete to support the load of a forklift. 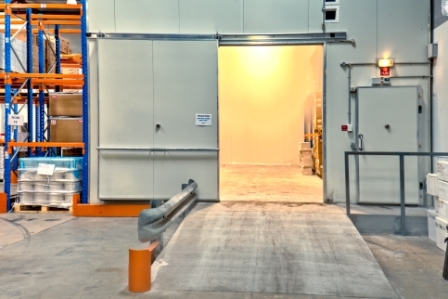 The freezer room is located adjacent to the container unloading space so pallets of frozen goods can be moved directly from the shipping container into the freezer room. Apromo Trading creates personalised gift packs for weddings, hotels and special events. We can create attractive gifts of praline chocolates, boxed and tied with personalised printed ribbons. We can also supply the boxes, ribbons, inserts and (of course) chocolates for you to pack yourself. 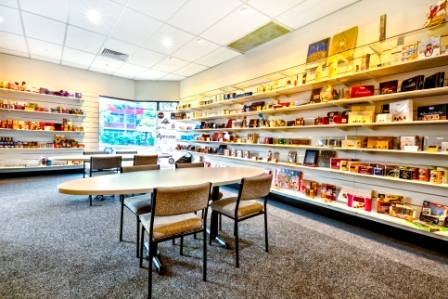 At the main entrance to the building, we have created a showroom with displays of our retail products. On show are our core range products and the seasonal range is updated each year. Our sales team are able to have dedicated meetings with our clients enabling them to see our range when placing their seasonal pre orders. Please contact your sales representative to arrange a personal meeting. Our office space is pleasant with panoramic windows allowing lots of natural light, spacious, tidy, well organised, and quietly productive. 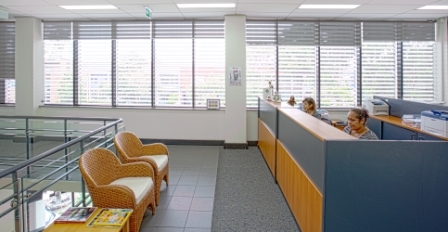 Reception, management, sales, accounts, and administration all have ample space. We have a boardroom for meetings and a seminar room for presentations. Our customers are welcome to collect their orders from our warehouse, between our operational hours of 8.45am to 5.30pm Monday to Friday. Please allow 2 hours from placement of order to pick up time. Our wholesale customers are welcome to visit our facilities by making an appointment with their sales executive. Alternatively, you can look through our Rhodes facilities thanks to the virtual tour - you will find its link up under the menu to the left. Located at Sunshine West in Melbourne, Victoria. 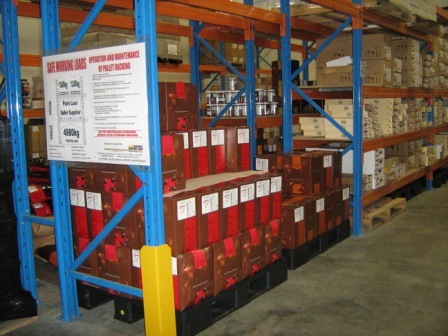 Apromo Trading established dedicated warehousing and office facilities in Victoria in 2011. Conveniently located at Sunshine West, just inside the Ring Road and Princess Highway junction we are a 20 minute drive from the CBD and inner Eastern suburbs. 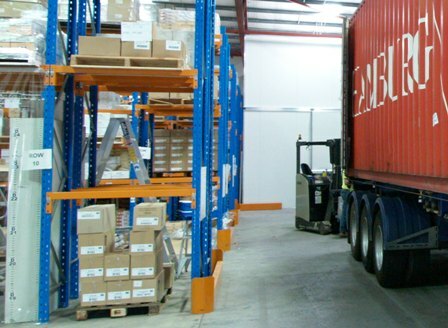 Our new warehouse facilities have been specifically fitted out to cater for ambient, chilled and frozen storage. Temperatures are monitored in accordance with our HACCP safe food programme to ensure that products are stored in an environment to maintain peak quality. 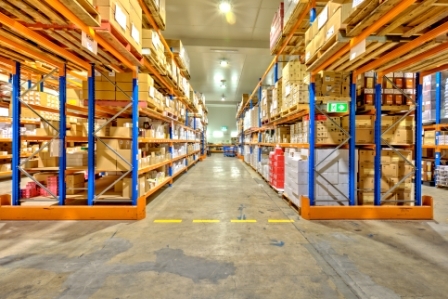 Our purpose built warehouse was designed with ease of use and a safe working environment being at the forefront of all decisions. 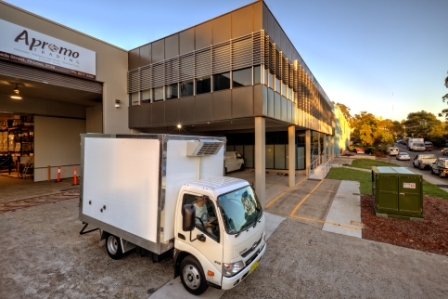 Our delivery vans are fully refrigerated and all temperatures are recorded at the time of delivery to ensure the product arrives in optimum condition. 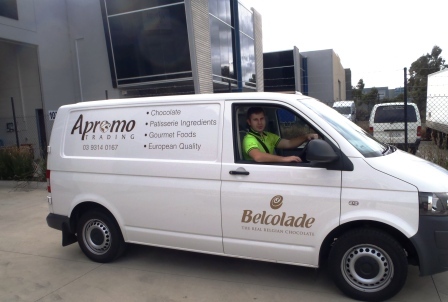 Our vans service the Melbourne CBD and inner suburbs daily and outlying areas weekly. 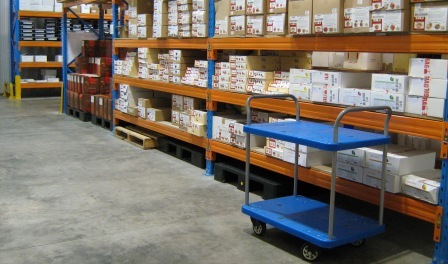 Deliveries to regional customers are done via the dedicated cold chain freight company Kerry Logistics. 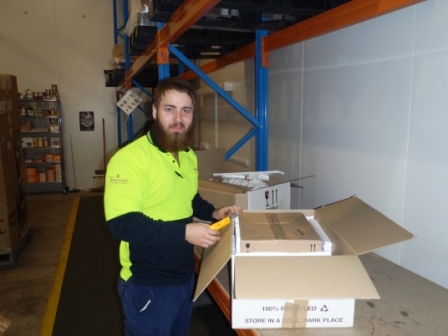 Many of our products require careful packing to ensure they arrive to our customers in pristine condition. Be assured that we care about our product and want it to get to the end user in top condition. 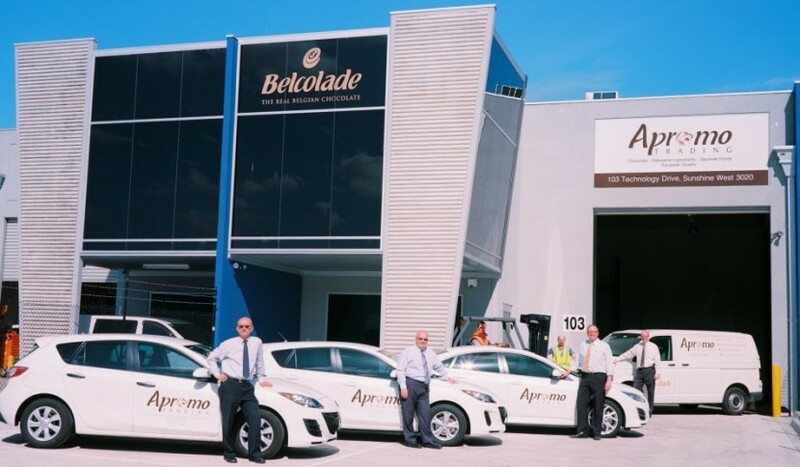 Our wholesale customers are welcome to visit our facilities at any time by making an appointment with their sales executive or our General Manager.